The animated movie “Inside Out” tells the story of a young girl, Riley, who has to leave her familiar Midwest life behind when her family moves to San Francisco. Characters depict her primary emotions – Joy, Fear, Anger, Disgust and Sadness – and the inner conflicts they cause her, as well as her parents. The movie was named “Best Animated Feature” at the 2016 Oscars. “A person’s mind is a mysterious labyrinth of thoughts, feelings, memories, ideas and compulsions; the mind of a young girl is likely even more complex. 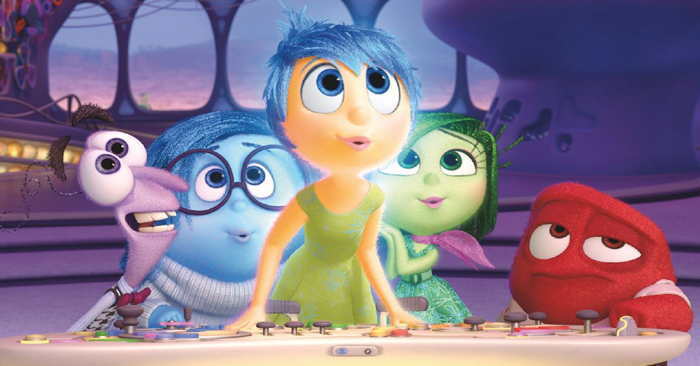 “Disney-Pixar’s latest animated offering, Inside Out, bravely delves into that intricate world in a way that effectively captures the nuances of the way people feel and think—and maybe helps them understand why they act the way they do sometimes. “Developed with the guidance of University of California, Berkeley psychologist Dacher Keltner, the film tells the tale of Riley, an 11-year old whose family relocates from Minnesota to San Francisco. 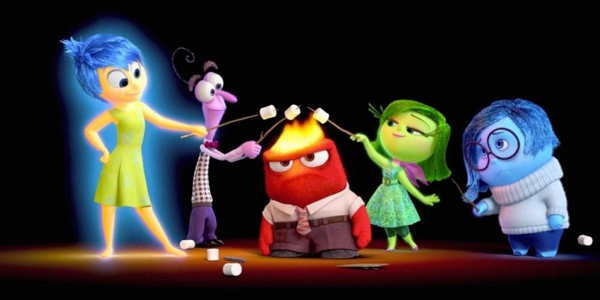 From Emotion, personified: What “Inside Out” gets right about mental health By Erin Shifflett June 25, 2015. Inside Out was named “Best Animated Feature” at the 2016 Academy Awards. “This film was really born from watching our kids grow up, which is not easy! “Anyone out there who’s in junior high, high school, working it out, suffering – there are days you’re going to feel sad. You’re going to feel angry. You’re going to feel scared. That’s nothing you can choose. From Inside Out Wins Best Animated Feature, ABC. Psychologist Dacher Keltner researches how emotions impact our lives. See quotes and video in my article Dacher Keltner on positive emotion and living a good life. One of his books: Understanding Emotions by Dacher Keltner, Keith Oatley, Jennifer M. Jenkins. 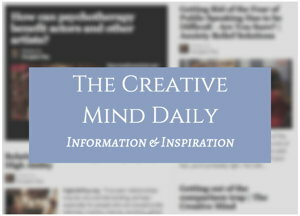 Facebook / Emotional Health and Creativity. Emotional Intelligence To Be Creative. Morty Lefkoe on how our strong feelings get conditioned – What causes anxiety and other negative emotions can result from the meaning we unconsciously attribute to events in life. And meaning can be changed. Morty Lefkoe, an expert on changing limiting beliefs, explains how classical conditioning can work against our emotional stability.